Get ready to elevate Iowa’s environment! Posted on September 22, 2015 by Iowa Environmental Council | Comments Off on Get ready to elevate Iowa’s environment! 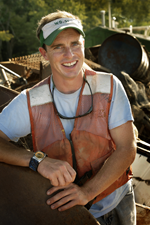 2013 CNN Hero of the Year Chad Pregracke, author, president & founder of Living Lands & Waters; a non-profit river clean-up organization, will headline the event. He will be joined by a dynamic slate of speakers hailing from across the Midwest, Washington D.C. and Vancouver, who will take to the stage to share their knowledge and expertise during eight thought-provoking sessions. This event has been approved for 3.75 hours of Continuing Legal Education credit. View this year’s agenda. The day will also feature networking opportunities, top-notch exhibitors and a seasonally-focused lunch. Discounted registration is available to Council members and students. Scholarships are available for students facing financial barriers. Join us for our Annual Members Meeting, open to all Council members, immediately following the conference. Staff will provide a brief overview of the Council’s policy priorities for 2016, after which members are invited to ask questions and offer input as well as other issues for consideration. Please RSVP to Executive Director Ralph Rosenberg at Rosenberg@iaenvironment.org by Friday, Sept. 25th. Comments Off on Get ready to elevate Iowa’s environment! Registration for our 2015 Annual Conference, Elevate: Creating an environment of action, Friday, October 2 at Drake University in Des Moines, is now open. This year’s conference, which also marks the Council’s 20th anniversary, will empower and equip attendees to elevate their work, and will feature keynote speaker Chad Pregracke, 2013 CNN Hero of the Year, founder and president of Living Lands and Waters. Best known for starting out as a young man in East Moline, Illinois wanting a cleaner waterway, Chad has become a champion for the Mississippi River. 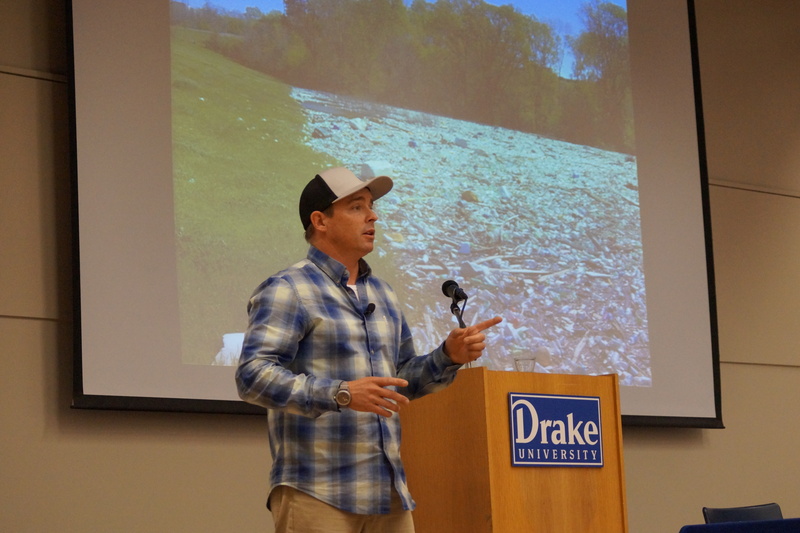 Chad and his Living Lands & Waters crew have organized and led over 800 cleanups on 23 rivers in 20 states and removed an estimated eight million pounds of garbage. Chad had an idea that evolved into a movement that has helped to restore one of America’s greatest icons, the Mississippi River. He is proof that one person can make a difference. Other sessions, featuring national, regional and local speakers will focus on providing attendees with knowledge and resources to effectively identify opportunities, define moments and move interest to action. Additional speakers and sessions will be announced soon. Take advantage of early bird registration rates and reserve your spot today. The Council’s Annual Conference is known for bringing together a unique cross section of Iowa’s environmental community to share their knowledge and experience to address today’s environmental challenges. Together, we learn from one another and work together to make Iowa a better place to live, work, explore and enjoy. Exhibitor and sponsorship opportunities are also available. Early-bird discount for annual conference ends Tuesday! Posted on August 30, 2013 by Iowa Environmental Council | Comments Off on Early-bird discount for annual conference ends Tuesday! Early registration for the Iowa Environmental Council’s annual conference, “At the Tipping Point: Creating Momentum for a Healthier Iowa Environment” ends Tuesday, September 3, meaning the early-bird discount will end also. Register now online with a credit card or by printing your information and sending a check. Register by phone. Just call 515-244-1194, extension 210, and staff will assist you. Any way you choose to register, we encourage you to do so by September 3 to claim the special rate. Thank you to Growing Green Communities and our other sponsors for major support of this event! Comments Off on Early-bird discount for annual conference ends Tuesday!